The Painting & Other Media Category is considered to be any art where a pigment was applied to a two-dimensional surface, such as canvas, paper, or panel. 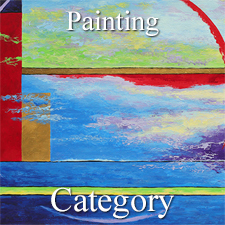 The painting category is also comprised of the following media; acrylic, collage, drawing, encaustic, graphite, mosaics, oils, pastels, pen & ink, pencil and watercolors etc. applied on canvas, canvas board, paper or any other flat surface. All winning entries will now be featured on the Light Space & Time website for the month of March 2019 and thereafter, the artworks and links to the artist’s websites will remain online in the Light Space & Time Archives. Congratulations to our artists who made our 10th Annual “Abstracts” Art Exhibition so successful this month. At any time, we invite our winners and other interested visitors to link their websites to the Gallery’s Archive section for further ongoing promotion. The Light Space & Time Online Art Gallery will have digital “Abstracts” Award Certificates, Event Postcard and Press Releases sent to the winning artists within the next week or so. Thank you to all of the artists who participated and for being a part of the gallery. 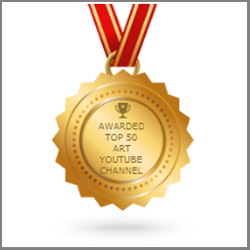 Below are the top winning artists in the Painting & Other Media Category. In addition, the Image Galleries below also include the Special Merit (SM) and Special Recognition (SR) Artists in this category as well. To return to the Abstracts Home Page click here.